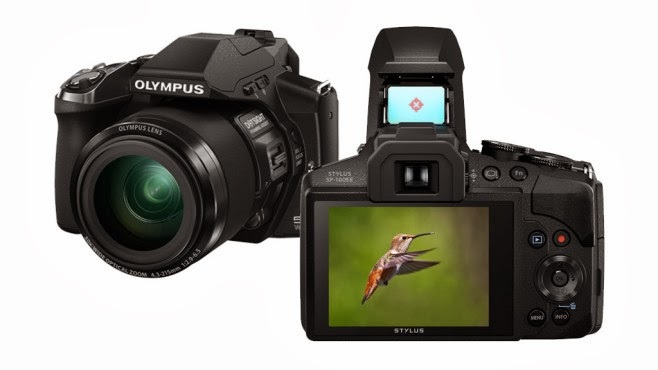 Olympus Stylus SP-100 EE features 16MP 1/2.3″ BSI CMOS Sensor and TruePic VII Image Processor combined with 50x Optical Zoom Lens & 0 cm macro mode with Lens-Shift Image Stabilization, the Olympus Stylus SP-100 also record Full-HD video recording Full HD 1080/60p Video, on the rear side this prosumer camera have 920k-dot Electronic Viewfinder and 3.0″ 460k-Dot fixed LCD Monitor. When not using the viewfinder, you can use the 460k-dot LCD screen on the rear to compose and playback shots. New features include built-in dot-sight in pop-up flash panel the helps you to easily track and shoot your subject, a red light is projected onto the glass panel to help you quickly locate your subject. You will enjoy 50x optical zoom, or 100x at Super Resolution Zoom. Those action sports shots you’ve always dreamt of taking? If you go to the zoo or safari in Kenya, you can shoot Wildlife spotting in incredible detail. This superzoom lens is also great to capture planes as they land or take off. Don’t forget to use a Super Macro for subjects as close as 1 cm away from the lens, so you can capture small flowers, butterfly or bees on a beautiful flower. As you can see on the main features, The SP-100EE comes with a selection of Art Filters, allowing the user to get creative. To make the most of the camera’s ultra zoom capability, a lens shift image stabilization mechanism significantly reduces camera shake. Shooting in dark locations is further enhanced by the performance of the bright lens. With the 16 Megapixel BSI CMOS sensor combines with the next generation TruePic VII processor to get the very best out of its high-performance optics. 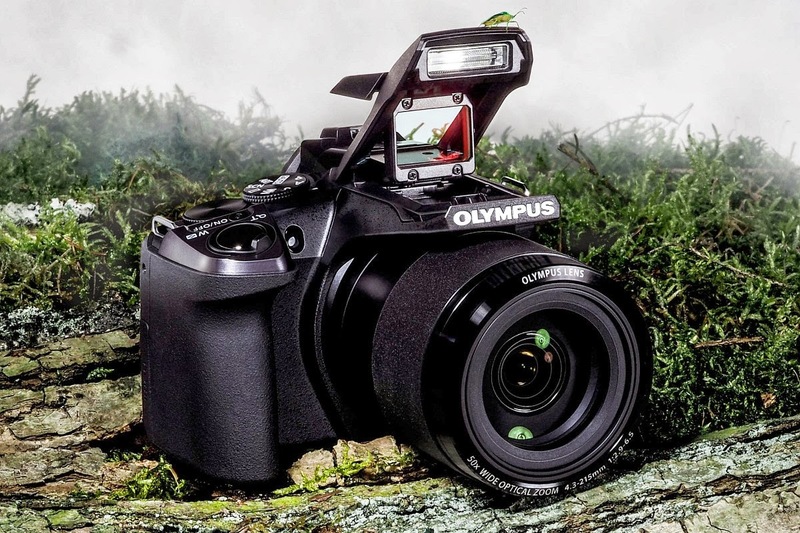 The Olympus SP-100 EE is the first to feature a new "Dot Sight Framing Assist" feature that helps aim the camera at the target. There is also a focus limit button that can help in keeping what you want in focus. This prosumer camera has two zoom controls, one on the top as normal, and then a second set of buttons on the side of the lens, a layout borrowed from the OM-D. There's also a focus limit button, with a choice of constant aperture AF, infinity AF, or close-up AF. The great news is the midday sun in the desert proved no problem for the SP-100EE's Fast AF autofocus system, and you can use this camera for low light photography. Canon PowerShot SX50 50x superzoom models is the closes competitor to the Olympus Stylus SP-100EE HIS, however this prosumer camera is the world's first 50x optical ultra-zoom camera equipped with Eagle's Eye. Olympus SP-100 EE is great for holiday, family occasion, hang-out with friends and other daily activities. This camera is expected to go on sale in March 2014, with a price tag of $399.99. You can compare this camera with other similar model before you decide to buy it.